I told you a little while ago that after having read the Pure+Simple guide to ayurvedic skincare, I had agreed to try a few products to possibly review them. 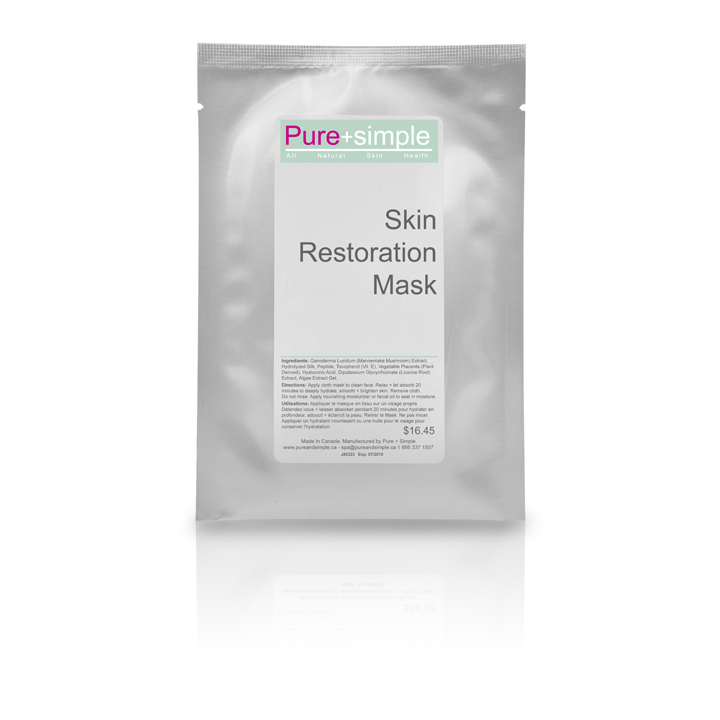 Today I am going to tell you about the masks and treatments that I used. A little foreword on the packagings, thoug: they aren't the most fancy things on the market for sure, however the brand makes sure that they're as sustainable as possible. If you live near a Pure+Simple spa, you can also join the recycling program and bring back your empties, which will be re-used. This is a nourishing mask meant to cool and soothe the skin. It contains antioxydants, vitamins and Sea Algae that is supposed to be very moistirizing. You apply this on clean skin, leave it on for 30 min (or overnight if you want), rinse off and you're done. Other than that, when applied properly, this is a very pleasant gel-type mask. It does really need to be rinsed off, though, because of its texture. While I often tend to not rinse off lotion-types mask and leave them on all night, I find that this leaves some kind of film on the skin while drying and that I prefer removing it and applying something more creamy for the night. The one time I left it on, I had it peeling off my skin in little gum like particles in the morning. No big deal, but not what I prefer. Is it really calming? Well, my skin hasn't been much irritated lately, not the way it was last Winter, so I can't really judge how this performs in extreme conditions, but it did leave my skin soft and refreshed. I really like the gel texture, which is not that common or easy to find, and I find it very cooling indeed, which does feel *right* for irritated skin. How I liked it: I did store this in the fridge and decided to use it as a treat to pamper myself on a Sunday night. The sheet mask is folded up in the package, with some kind of plastic sheet in the middle so that the different parts won't stick to each other. It is very richly soaked with some kind of plant-based lotion that has a slight smell but nothing overpowering. Using this cold really makes it relaxing in my opinion. After having used it, you don't need to rinse off the remaining product, you can gently remove it with toner or massage it in, and then you add a serum or oil or moisturizer on top to seal in the moisture. I was left with fresh plum baby soft skin! 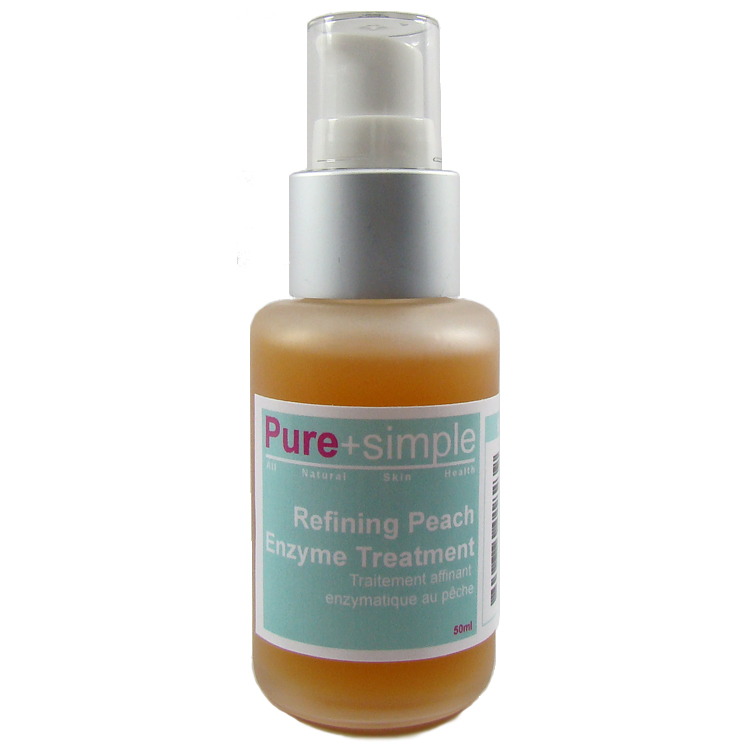 This is a chemical exfoliating product containing fruity acids. You use it once a week to gently exfoliate the skin and brighten it. How I liked it: believe it or not, I had never use a fruit enzyme treatment before! I'm more used to using creams containing AHA/BHA but this is different. The texture is very liquidy, it feels like a serum. You apply all over the face and neck and leave on for 10-15 mins (if your skin is really sensitive, start with 10 mins and see how it goes). It smells nice, fruity but not sickly sweet. Then you rinse off and apply your skincare - do not forget SPF if you used this before going out! I didn't exeperience any stinging or tingling at all when using this, so I did leave it on for 15 mins at first use already. It did leave my skin feeling soft, and I didn't have any post-use reaction, no redness or irritation or anything. I never really feel that chemical exfoliants are enough for me, once in a while I do see dry patches that only mechanical exfoliation does get rid of so I generally use a good old scrub once every week or two week. But since fruity acids are good anti-ageing products as well, and do fight pores and blackheads, I do think it's good to use them regularly. I find this one very nice - not overnight miracle kind of nice, though, you always need to be consistent with those things - and I appreciate that it didn't irritate my skin at all or dry it out. Side note: I was told by the PR that you could leave this on overnight on condition that you add a rich moisturizer on top. I haven't tried that, though, and don't think I will as I rather stay cautious with fruit acids. Very nice natural products, they do what they say and they're very gentle to the skin. A bit on the pricey side - I wish the sheet mask was less expensive but on the other hand it's cheaper than a facial. This is, however, the price line of most natural brands. I absolutely adore to read your reviews. they're so detailed. I'm a big user of natural products; may have to give the enzyme treatment a try. Thank you Ansa! Thsi range is definitely worth trying! 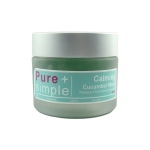 I'm currently testing out some products from Pure+Simple as well and am really enjoying them. Love your blog and great review! A warm EOTD and an attempt at some hair thing. Illamasqua Naked Strangers Haul, FOTD and Review!